Let's get one thing straight right away: "White Christmas" is the best Christmas song. It has tradition, nostalgia, and romance. No church. There are more versions of it that you could ever care to hear—Bing Crosby's original 1941 performance is a classic, Frank Sinatra's 1944 version is good enough, and the Drifters' 1954 recording is doo-woppy and fun. 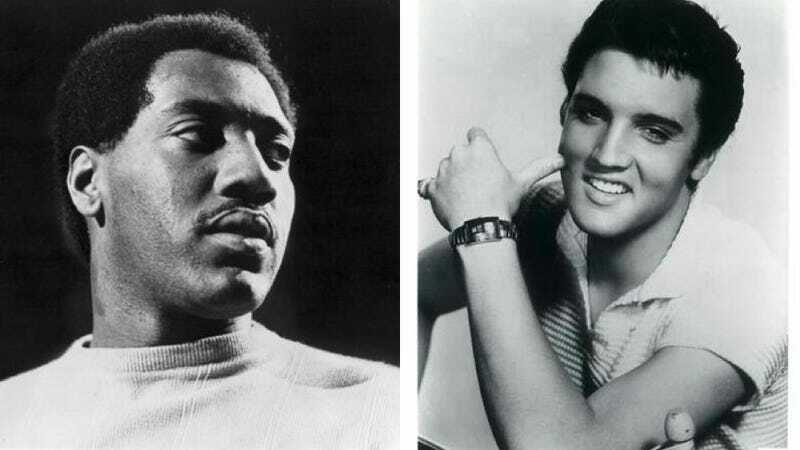 For me, though, there are only two truly great performances of "White Christmas": Elvis Presley's 1957 recording, and Otis Redding's single, released in 1968, a year after his death. They both give me chills. And it's hard to say which one is the best of all. My background with each song may have a bit to do with it. First of all, we lived in the south, where snow was rare enough at any point in the winter. The idea that you could actually have snow and Christmas at the same time would have just been an unimaginably incredible day. So the song always got me dreaming, seriously, of a white Christmas. Southern roots also meant I heard the Elvis version a hell of a lot. It appeared at some point on just about every cassette tape in my parents' "Christmas music" collection. It would be wedged somewhere between "Run Run Rudolph" and a series of unfunny radio call-in skits about something called HABBS—Husbands Abused By Big Spouses. Anyway, my dad started cranking up the Elvis sometime after Thanksgiving and didn't stop it 'til New Year's. The King's version is so deeply ingrained in my mind that when anyone else sings it, I always expect "I'm dreaming of a white Christmas" to come out like "I-hi-ha-hi-ha-hi-ha-hiiiiiim dreamin'..... Whenever I heard anyone else sing it, that last verse felt like it was missing a piece. So for years, really, the song was either performed by Elvis or Not Elvis. But when I finally heard Otis Redding, that all changed. With a punchy organ, piano, a plucked electric guitar, some brass, and Redding's scratchy voice singing, talking, and throwing in a few extra lines here and there, it just has to be the most full-throated, sincere-sounding wish that "all of your Christmases be so white." It makes Elvis crooning over a simple piano feel like an empty letdown. Or maybe I'm just over Elvis. If I'd heard Otis every year for the past two dozen Decembers, maybe it'd be the other way around. I would listen to anyone argue in favor of either fantastic version. Or maybe you want to convince me that there's an even better version of "White Christmas" that I haven't heard yet. Spotify tells me Katy Perry, Kenny G and Lady Gaga have all taken their shot at it—should I listen?